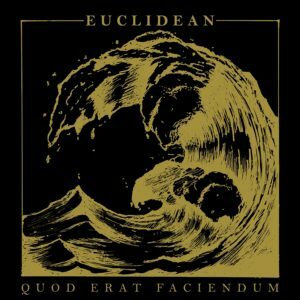 Euclidean first album out today! The beast is finally here! 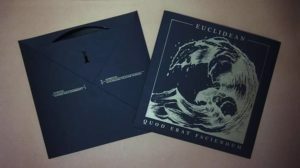 EUCLIDEAN first masterpiece, Quod Erat Faciendum is out today and available in every good record shop! This album displays epic landscapes made of telluric post metal mixed with huge amount of black metal atmosphere. It’s an unique journey that our Swiss fellows are sharing with us! 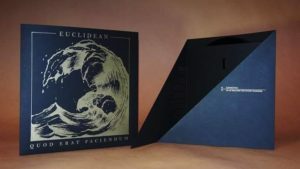 It is released in a gorgeous double black vinyl and comes in a double silkscreen jacket. Everything has been realised by the band’s own hands and their graphic artist. The result is beyond expectation and is the perfect envelope for such an amazing record. Every copy is hand numbered. Limited to 300 copies. We had a crazy amount of preorder, so don’t sleep on it! All our previous new to be found HERE.